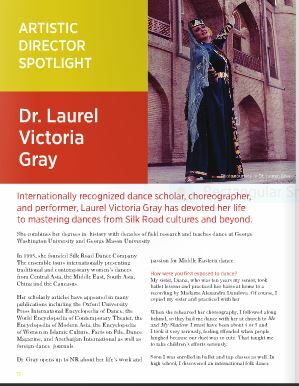 Founded in 1995 by Artistic Director Dr. Laurel Victoria Gray - World Dance professor at George Washington University - the award-winning, critically acclaimed Silk Road Dance Company (SRDC) presents an extensive repertoire of more than 200 dances from Central Asia, Iran, the Middle East, South Asia, the Caucasus. and beyond. 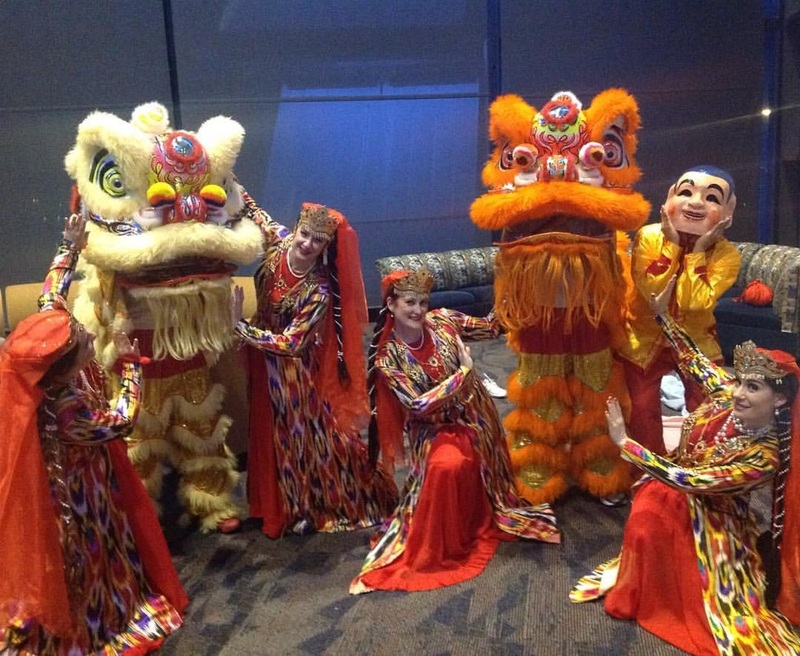 Silk Road Dance Company has given performances internationally in Uzbekistan, Qatar, Singapore, United Kingdom and Canada. Based in Washington, DC, the ensemble has graced prestigious national venues including two White House performances and 11 Kennedy Center appearances. They have given presentations for 11 different embassy events, most recently at the Embassy of Albania. 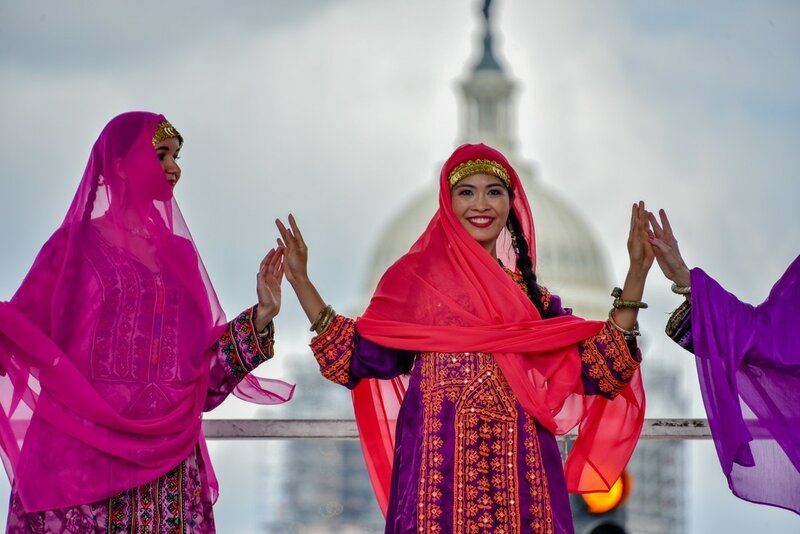 With the goal of promoting “Cultural Understanding through Beauty and Delight,” their pioneering performances offer a unique glimpse of the life and art of ancient cultures, especially the Islamic World. 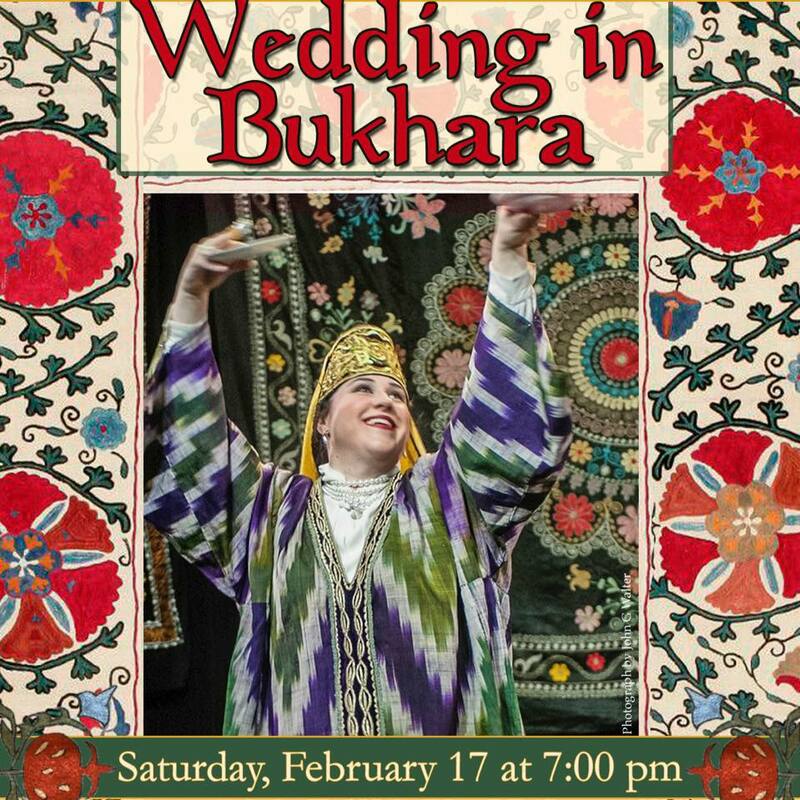 Silk Road Dance Company offers programs which reflect the depth and breadth of field research and study conducted by Dr. Gray who has received many awards for her life-time of creative work, including recognition from Uzbekistan's Ministry of Culture. Our beautiful NAVRUZ video by Nazir Abbas. The concerts below are presented by the Fairfax County Park Authority. Free to the public & held outdoors. Order tickets by clicking on this link. A magical bird, an evil dragon, a clever princess, and a valiant hero bring to life the Shahnameh, an ancient masterpiece written over a thousand years ago. 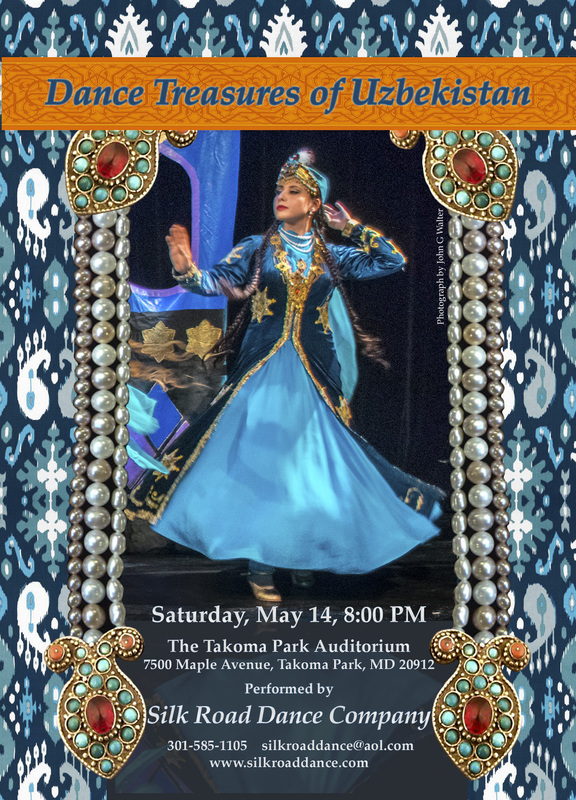 With vivid choreography and ornate costumes, Silk Road Dance Company presents fantastical tales from ancient Persia. 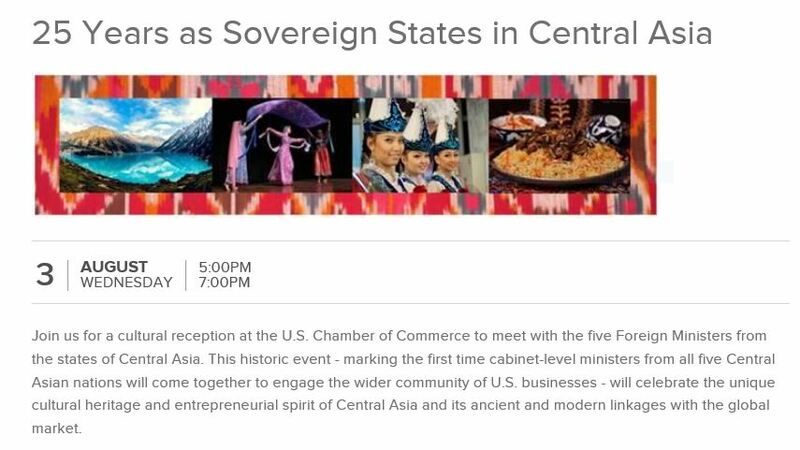 Join the diplomats of the Embassy of Georgia for a special evening of native food, wine, music, film, art - and a very special Georgian fashion show and dance presentation by Silk Road Dance Company. of the Middle East and Central Asia. 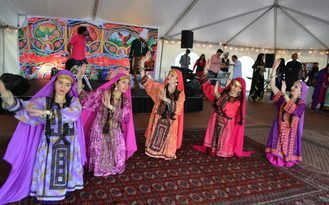 Thanks to the initiative of group of young Iranian-Americans in Washington, DC, Iranian culture was represented at Fiesta Asia festival this year - the largest celebration of Asian culture and heritage in the nation's capital. 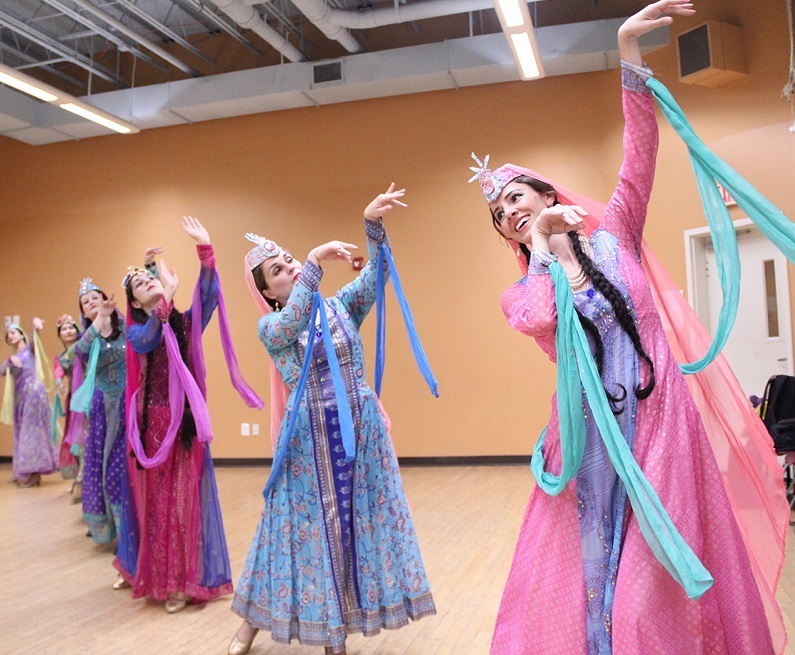 Silk Road Dance Company performed contemporary and folkloric Iranian dances. Abdufarrukh Khabirov, Second Secretary at the Embassy of Uzbekistan. 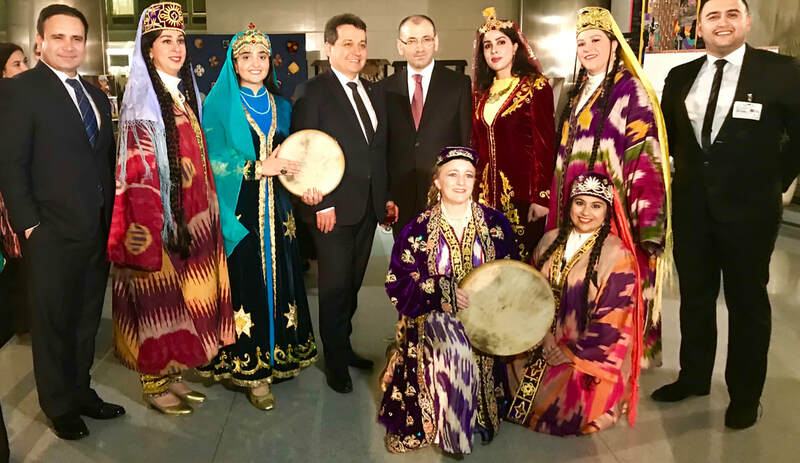 After the concert, audience members enjoyed a reception with traditional Uzbek cuisine generously provided by the embassy. Guests also had the opportunity to view traditional Uzbek crafts and speak with embassy representatives about the country. CLICK HERE to read full article about event. 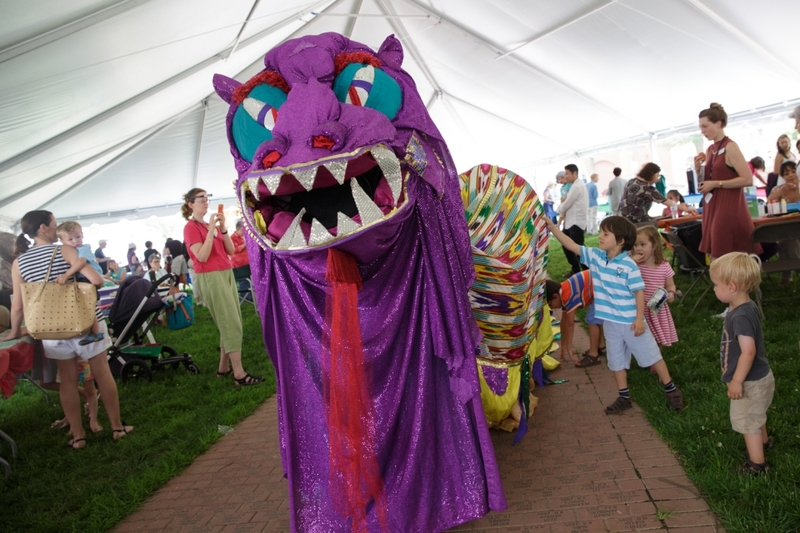 Learn more about the ideas and influences that led to the founding of Silk Road Dance Company. 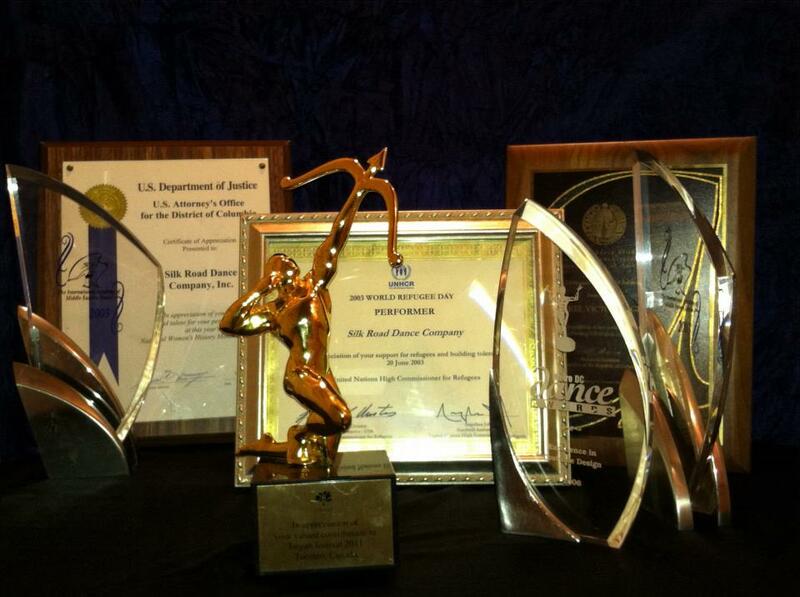 Click here to read the 2013 Blog Post about this fascinating, creative journey. 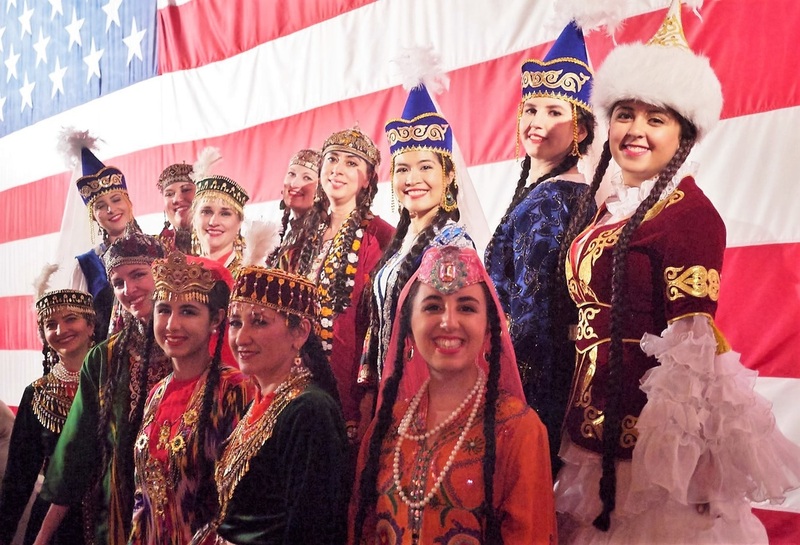 The First Lady introduces Silk Road Dance Company at the historic March 11, 2015 White House Nowruz Celebration. Read the Interview interview by clicking here! 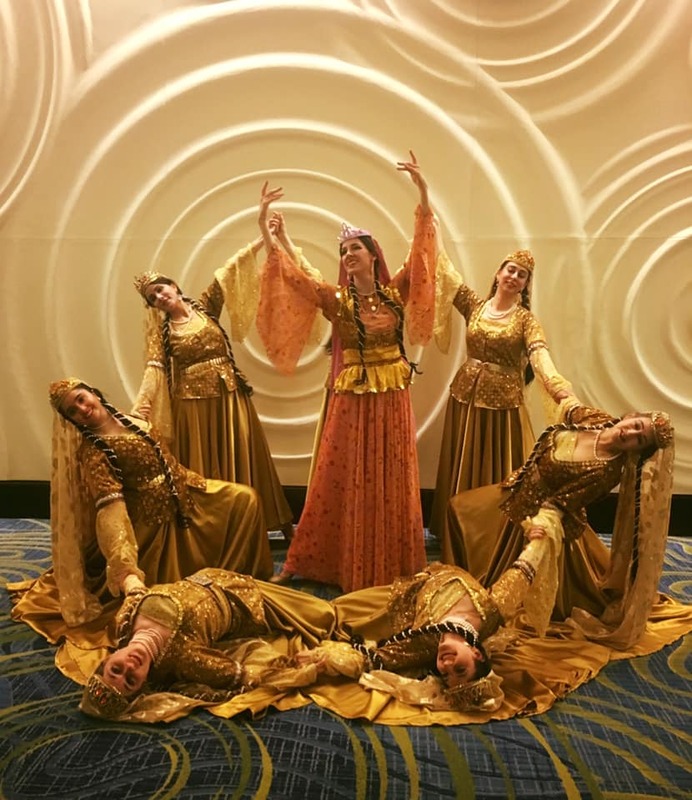 The amazing @DealVikings singers and the gracious, talented @SilkRoadDanceCo dancers were the highlights of #Azerbaijan Republic Day event! Click here for link to WHITE HOUSE coverage. 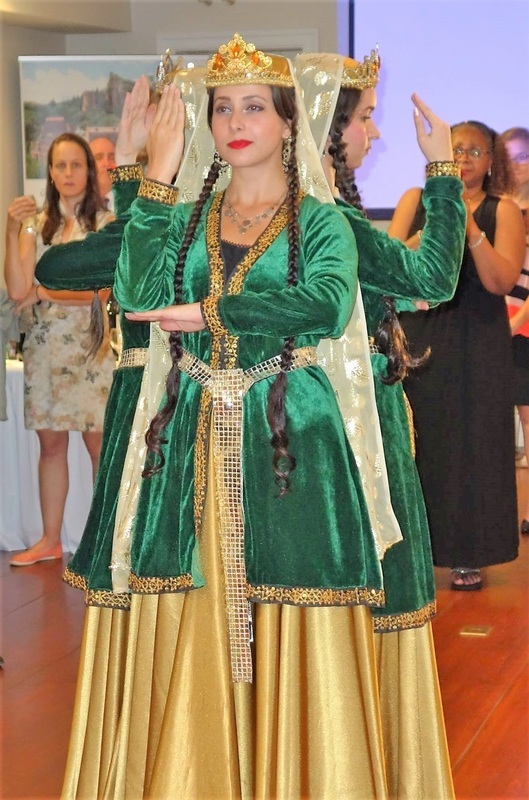 Embassy of Uzbekistan, performed the concert "DANCES OF UZBEKISTAN" at the John F. Kennedy Center for the Performing Arts. Click here to watch concert online! 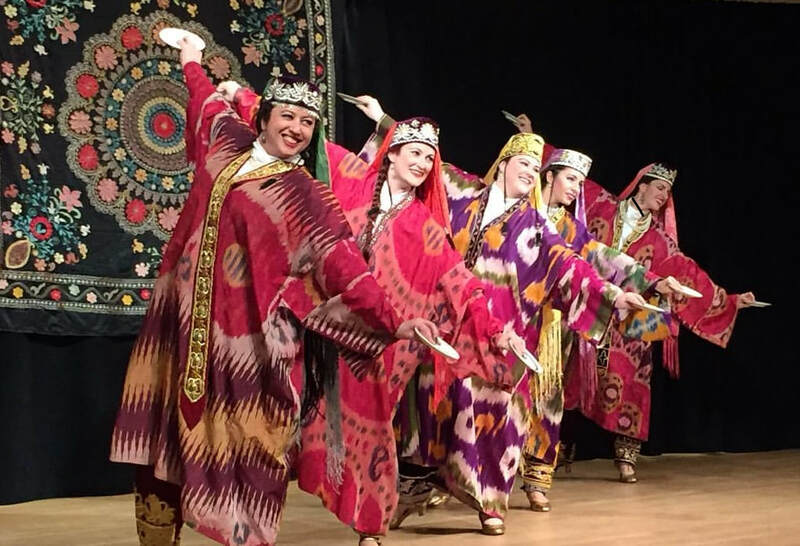 Silk Road Dance Company returned to the Textile Museum to share dances from Central Asia and the Caucasus. 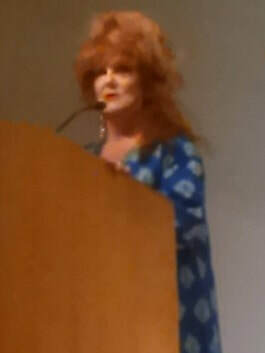 Read more about the event by clicking on this link. "Dance Along the Silk Road "
The Queen and I : Documentary on Empress Farah Pahlavi with an appearances by Silk Road Dance Company at 1:22:56. 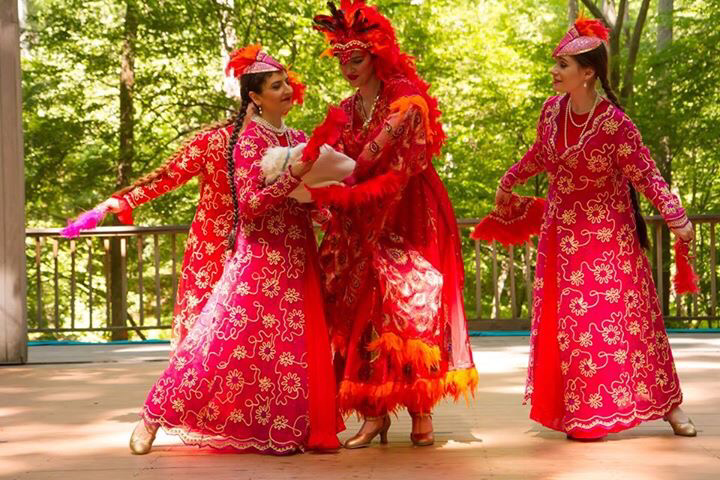 Silk Road Dance Company featured in VOA Uzbek Service report on Navruz. concert. Persian language report of Nowruz party at home of famous Iranian artist Nasser Ovissi with performance by Silk Road Dance Company soloist. Singapore television broadcast on the Asian Civilisations Museum special "Treasures of the Aga Khan" exhibit with Silk Road Dance Company's performances.